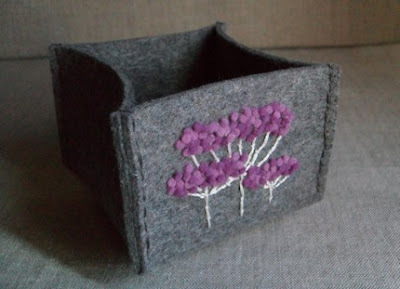 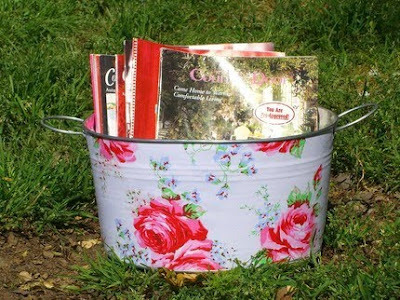 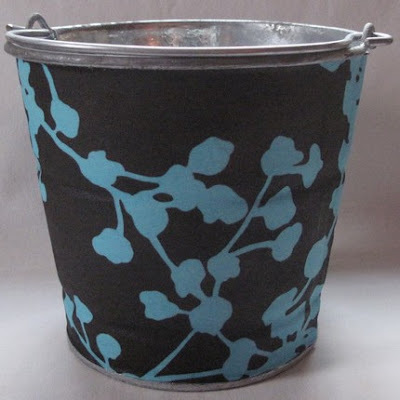 I like this galvanized tub from Etsy's Brody & Ma, $18. 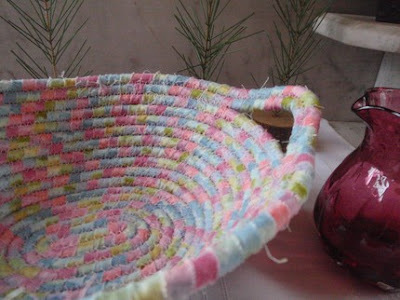 Ecofriendly lunch kit from Cotton Top Quilts. 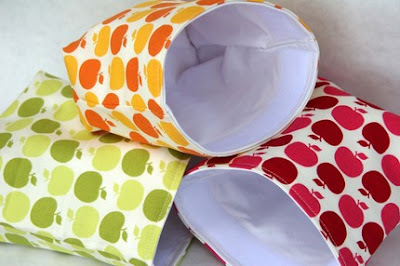 This is where I got Nick's reusable lunch bags in September and they are wonderful! 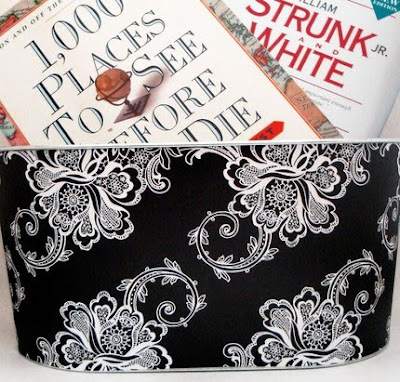 Storage pail from Mushy Bug comes in some great patterns. 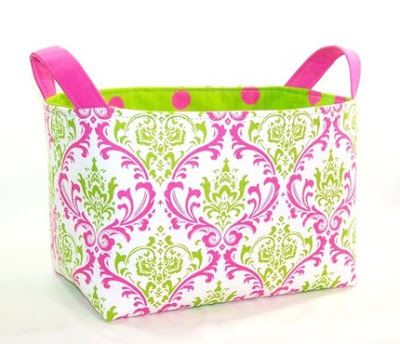 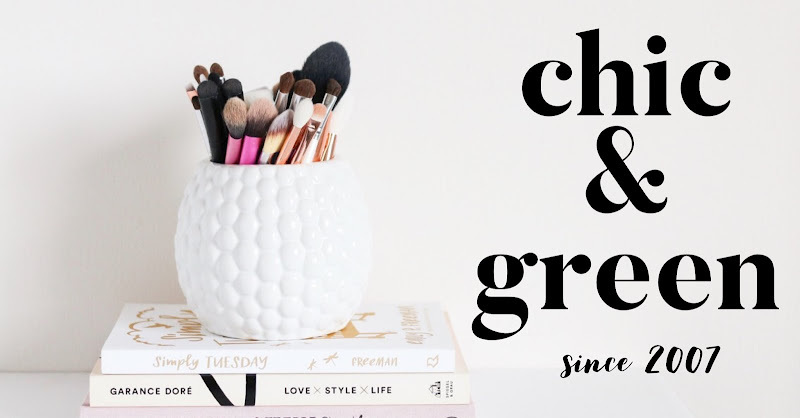 Colorful storage from Little Black Duck has me eager for spring! 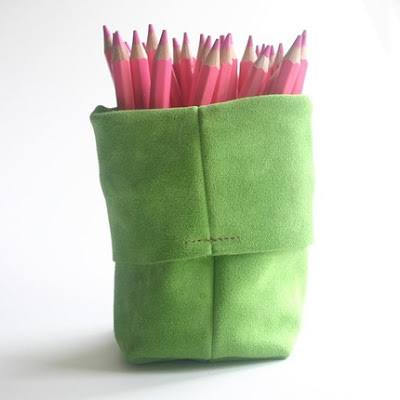 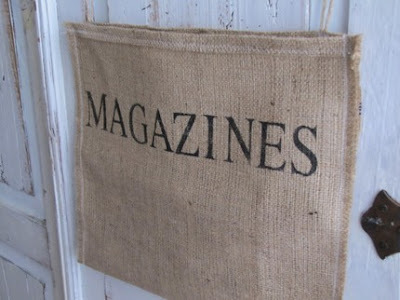 Burlap wall pockets for magazines are a clever idea!